The most fearsome villain of all time returns with an all-new series! When Anakin Skywalker fell, both to the pull of the dark side and to the blade of Obi-Wan Kenobi, he rose back up, more machine than man. Having lost everything that was once dear to him, the former chosen one must take his first steps into a darker world…as Darth Vader, Dark Lord of the Sith! 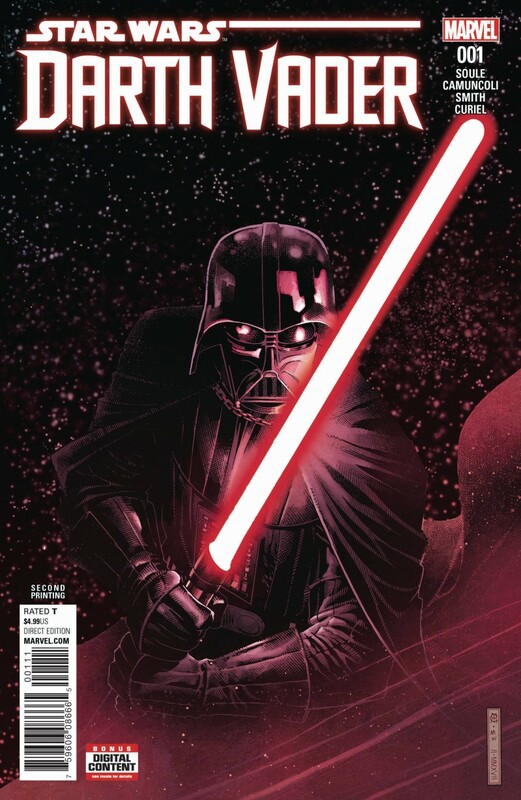 Join Vader as he learns a new way - the way of Darth Sidious and his newly formed Empire…the way of the dark side.